Fighting began in Europe in 1939 and did not come to an end until the Allied forces invaded Germany, bringing Adolf Hitler to an end. 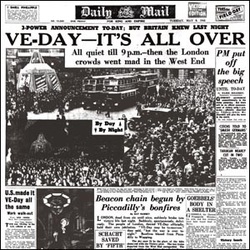 Video about V-E Day from Discovery. Only a few months after the war ended in Europe, the Japanese surrendered when atomic bombs were dropped on the cities of Hiroshima and Nagasaki. 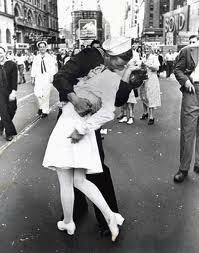 You can watch an old newsreel with footage from the events of V-J Day that followed.